Do you have the relevant data to improve your raw materials sourcing and procurement strategy? With raw materials being key cost drivers of FMCG companies, sourcing and procurement strategies are critical to profit margins. Reliable market intelligence and skilful negotiation can help you achieve significant price advantages. What is the current trading price? What are the weekly/daily prices of chemical? 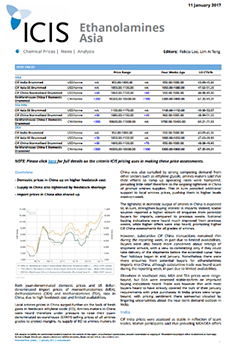 ICIS pricing reports provide regional price assessments of key rubber chemicals that are traded regionally and globally. They are published weekly, enabling you to keep track of trading prices, understand price drivers/fluctuations and have a reliable benchmark for contract price settlements. 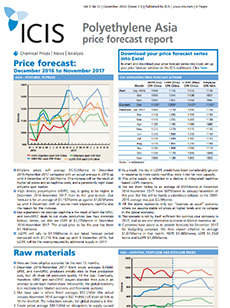 ICIS consultants forecast the likely trading prices of key raw materials in the coming 12 months based on the supply and demand dynamics and market developments. Will there be supply/demand imbalances over the long run that can push up prices of commodities such as toluene and ethylene oxide? 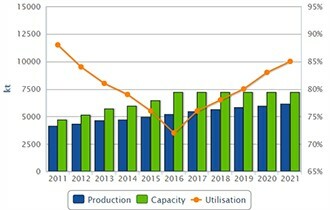 ICIS Supply and Demand data enables you to gain a mid- to long-term view of key raw material markets.